The Jelling Dragon – Viking Crafts & Living History Supplies – We sell Viking age historical reproductions, replicas and handmade pieces. Welcome to The Jelling Dragon. Viking age historical reproductions, replicas and handmade pieces. Supplying the full range of viking reenactment gear, supplies, kit and equipment! The Jelling Dragon online Viking craft store supplies re-enactors, museums, schools, theatres and movies with only the very highest quality handmade crafts, authentic Viking replicas & living history supplies. We supply Viking jewelry, Viking reenactment clothing, Viking feasting supplies, Viking accessories, Viking arms, Viking armor & protection gear, Viking games, Asatru Norse religion supplies, Viking craft equipment, Viking music & musical instruments, Viking books & other Viking gifts & Viking replica goods. 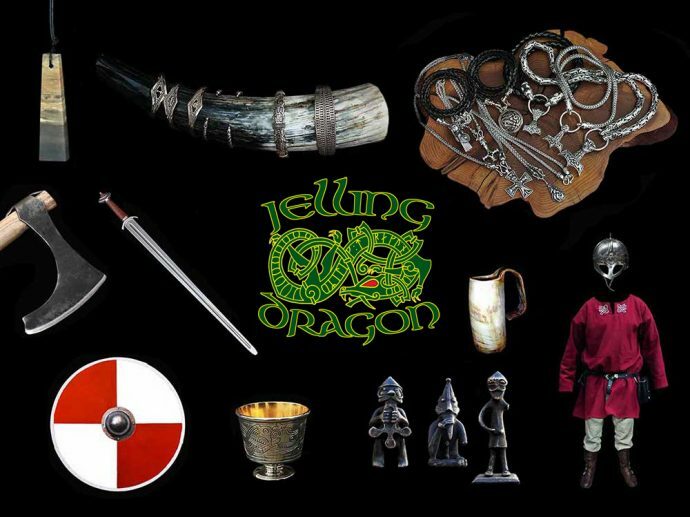 Jelling Dragon is a one-stop shop for all your authentic Viking kit!